Fleetwood Mac News: Stevie Nicks will reportedly be singing at Adam Levine's wedding. Stevie Nicks will reportedly be singing at Adam Levine's wedding. Wow... Stevie's been working the wedding circuit pretty hard this year. First officiating for Vanessa Carlton, then her god daughter Molly Fishkin where Stevie gave a toast and performed "Landslide" and now a report that she'll be performing at Adam Levine's wedding. The Maroon 5 singer is rumoured to be tying the knot with Victoria's Secret model Behati Prinsloo this weekend. And it is claimed several top-notch acts have been booked to put on performances at the nuptial ceremony. 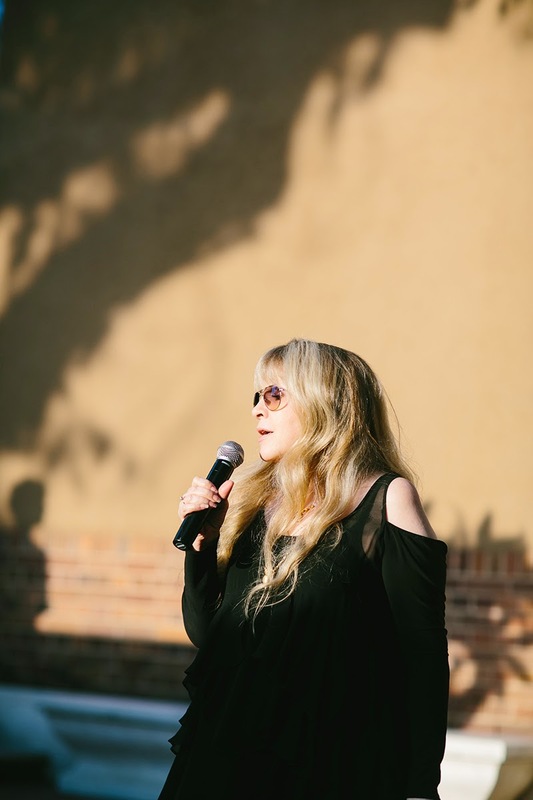 "Sublime and Stevie Nicks are performing," a source told Radar Online. "They've had fun jam sessions." The wedding is said to be taking place on the beach at Hotel El Ganzo in Los Cabos, Mexico. And ahead of the Friday night rehearsals, everything appears to be running smoothly, with little interruption from the paparazzi. According to ET Online, Stevie sang Leather and Lace with Adam.